I’ve been a mega fan of the Shadowhunter books and after The Infernal Devices, I got all sorts of sad face. 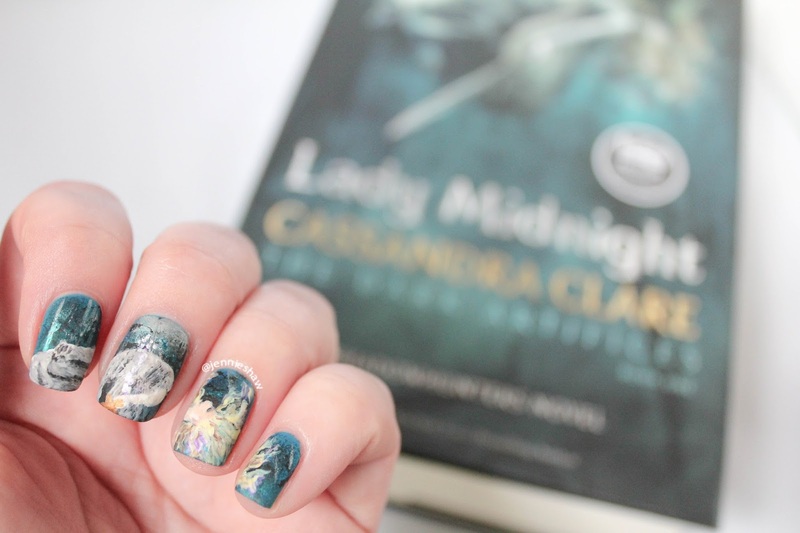 But now, I’m as happy as can be because LADY MIDNIGHT is the first of a new series: The Dark Artifices. Woot! So as the synopsis says, in this trilogy, we’ve got two main characters: Emma and Julian. Each are Shadowhunters and also each other’s parabatai (loosely translated as a ride-or-die partner), and instead of living in NYC, they’re in Los Angeles, which is full of sun, sand, and oh so many secrets. Good secrets, bad secrets, necessary secrets, heartbreaking secrets—this series has them all and it’s only book one! Gah! Too much curiosity! My brain! It’s exploding! In terms of characters, there are some similarities between Emma and Clary (from The Mortal Instruments series), but only because they’re both kickass demon-slayers who like to keep their cards close to their chest. I found Emma to be a bit more reserved, and I think that's because she’s grown up in the Shadowhunter world—it’s literally all she’s ever known. After the Dark War (from The Mortal Instruments series) both Emma and Julian lost their parents, which explains why they became parabatai, although like most decisions made in the midst of a crisis, it turns out their choice may not have been the best one. The central plot of LADY MIDNIGHT is the murder of humans and faeries, and when Emma and Julian are presented with the chance to get back Julian’s brother Mark, they launch into a secret investigation, as the powers that govern Shadowhunters forbid assisting faeries. It's important to note these aren’t the sorts of faeries that pluck teeth from underneath children’s pillows and leave a shiny coin—these faeries are cruel, harsh, and basically not very nice to humans (and pretty much everybody else). So you can imagine that when Mark returns to assist his family, after spending years in their world, he’s not the same man. And that’s what’s so awesome about the Shadowhunter books. 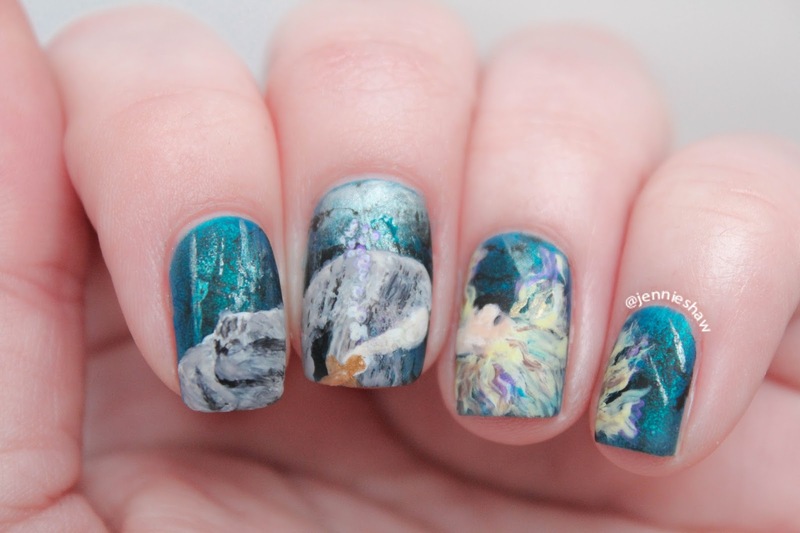 Cassandra Clare makes use of every opportunity to bring her rich and layered vision to life. Take for instance, Mark. He's a Shadowhunter and half-faery, and after spending so many years among the faeries, he's noticeably different. His mannerisms, speech, reactions to events—they aren't of the human variety. And yet, nothing was forced or overdone. For me, it's those sorts of details that take a book from good to bananapants—when you can slide into a new world and before you know it, you’re halfway through a 600+ page book. No small feat, when you’re dealing with readers whose attention spans may not be the strongest (I’m talking about myself, haha!). So here’s the deal: I love these books. And each one that comes out expands my understanding of a highly intricate and fully-developed world—a world that I’d be scared to be a part of, but am totally obsessed with, as long as I get to experience it from the safety and comfort of my couch. Haha! 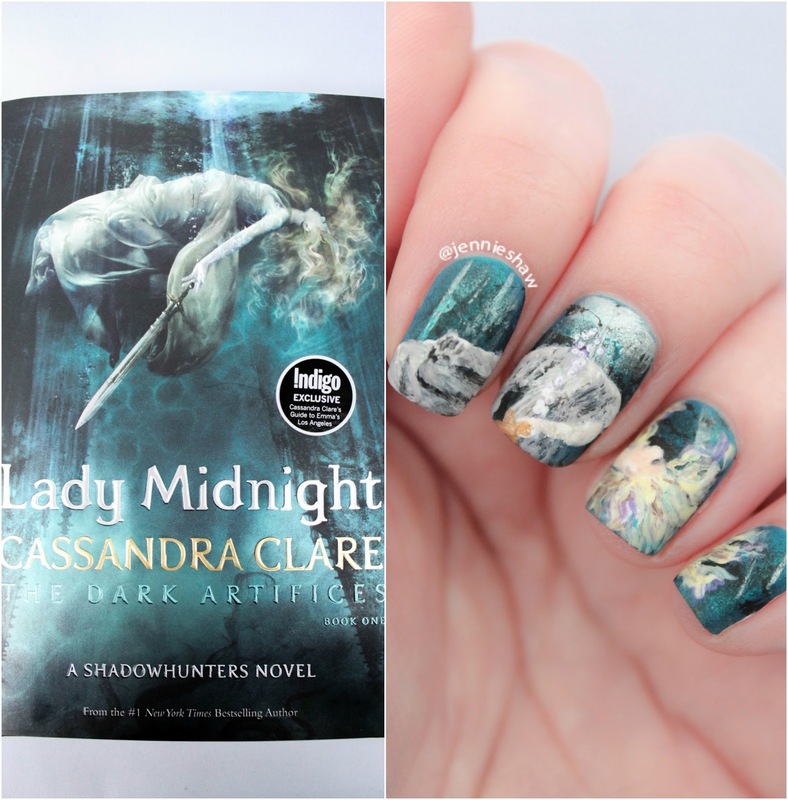 With all of the secrets in LADY MIDNIGHT, I seriously can’t wait for the next volume. And the one after that, followed by whatever else Cassandra Clare will write. Because I’m into these books for the long haul, guys and gals. And if you’re into epic fantasy-slash-mystery-slash-paranormal books, you should be too.